For the last few months of summer, BW and I have had a lovely temporary addition in our household. You see, BW’s mum (MIL) has been over from Dubai, bringing all her warmth, positive vibes, and yummy food along with her, and spoiling us with her love. Everyday, BW and I would come home to find the house smelling of flowers, oud, and aromatic curries, and whilst I was happy to have some company in the apartment, BW was even happier to finally have food that he could eat. Life was good, but sadly MIL’s three months came to an end and it was time to go back home to Dubai. Both BW and I sulked around until I decided to roll up my sleeves and get cracking with dinner. Come dinner time, I tell BW what’s on the menu. He does that little smirk of his and comes out with “orrrrr why don’t we check out that new burger place you haven’t stopped talking about for ages instead”. Thanks, but don’t you worry BW, I’ll be cooking for you all the time from now on. 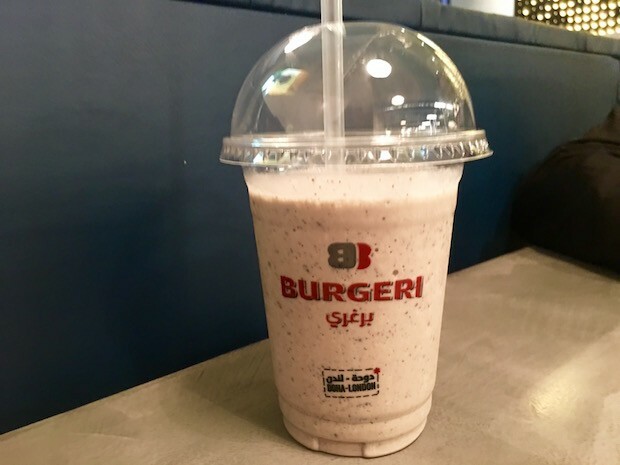 Located in a great location opposite Liberty on Great Malborough Street, Burgeri is a small fast-food eatery that has been brought over from Doha. We had gone on their first day of opening so the place was a little quiet, but welcoming enough to gradually have an almost-full restaurant. The helpful staff showed us our seats and we got ordering. Perhaps I got a little excited and ordered this creamy milkshake with a healthy amount of Oreos blitzed in to keep me in shape. 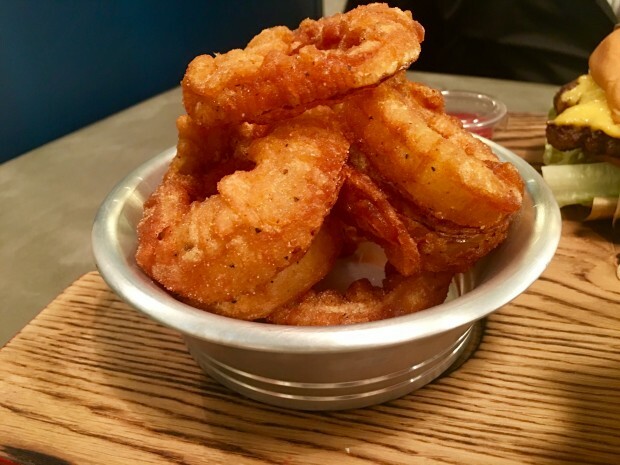 Chubby onion rings that had been covered in a thick, bubbly batter and deep fried until it was lovely and crispy. Although a little greasy, the salty, cajun flavouring in the batter made these rings really moreish. 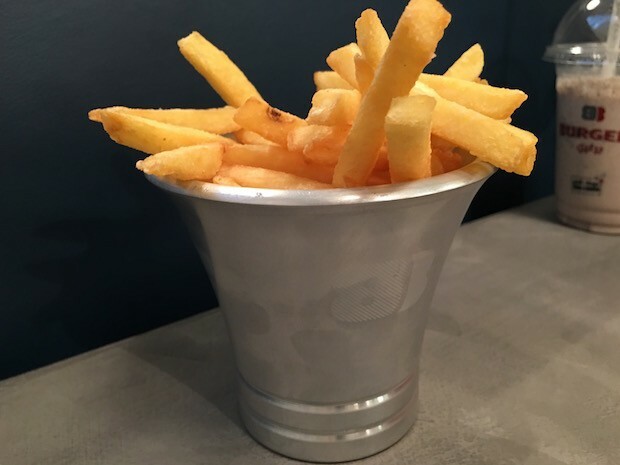 Acceptable fries that came in a bucket. These would have been better if there had been more dipping sauces other than ketchup and mayonnaise, or even some seasoning on them. A squidgy soft potato bun with a black Angus patty topped with american cheese melted alllll over, pickles, salad, and Burgeri sauce. Made using the chuck cut of the cow, the patty had a good amount of fat to keep it juicy whilst not being too fatty, and there was a decent flavour with a nice char, but the taste was definitely enhanced with the creamy and zingy house sauce. The pickles added some sharpness to help with the richness of the cheese and meat, whilst the salad was perfectly complementary. Overall, this was a simple, no-frill burger. 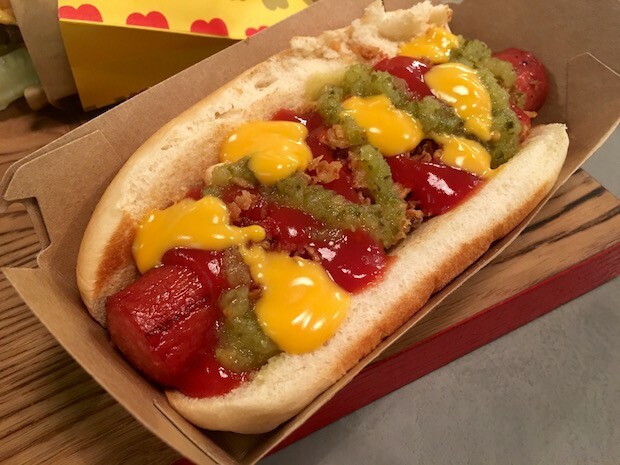 BW opted for this humongous beef hot dog that was topped with ketchup, mustard, a sweet green pepper relish, splodges of liquid cheeese, and crunchy fried onions. It all worked really well together and he thought this was one of the best beef hot dogs we have had. And just when I thought we were done, BW decided to order another burger. 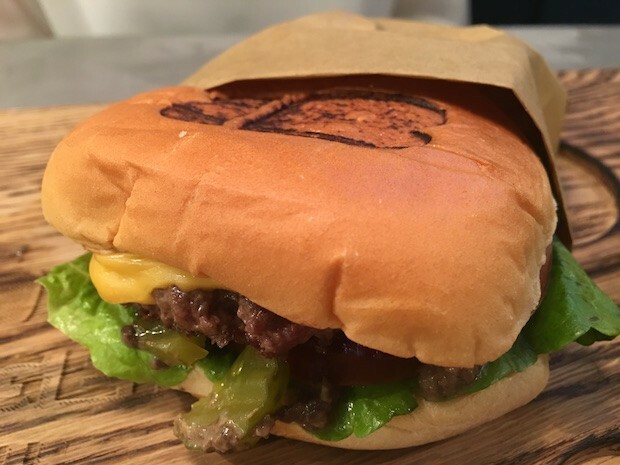 This was a Wagyu beef burger topped with American cheese, pickles, salad, and a mushroom sauce, and you could definitely taste the difference between the two burger patties. I honestly preferred the black Angus as I thought the wagyu patty had lost some of its juices during the cooking process, and the accompanying mushroom sauce seemed quite flat, making the burger more bland. This was by all means not a bad burger but perhaps my expectations were quite high having read rave reviews about the B Majestic online. I was informed that Burgeri are having problems finding a good halal wagyu beef supplier in the U.K so who knows maybe it will get better. The total bill amounted to £35 for two, including drinks and service, so £17 each. 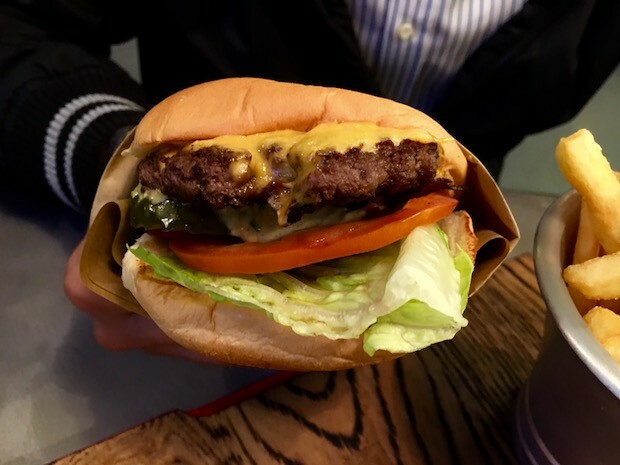 This was definitely on the expensive side of the burger spectrum, but when comparing them to similar fast-food type joints (Burgista, Fatburger etc), I would say Burgeri is one of the better ones. With an ideal location, it is the perfect place for a quick pick-me-up after a long day of shopping, however I would perhaps return only if I was in the area. 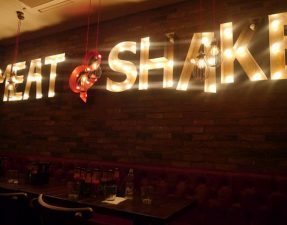 Just keep in mind that they’ve been open for a few days now so whilst there is room for some fine-tuning, especially with their burgers, I had a pretty good experience and I’m looking forward to see what they’re like in a few months time. Ooh, I will definitely check this out. There is a serious lack of halal options around the Oxford Street area but I am glad this is slowly changing. Is there a contact number for them? I need to know if they open on Sunday. They don’t have a telephone number at the moment! Sorry! I’m sure they’ll be open on Sunday. 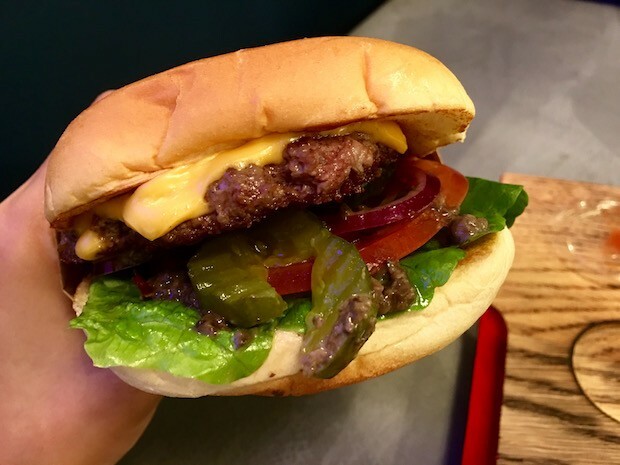 The question is, is this worth going to when stax burgers is round the corner? If Stax was not so busy, is there one you would choose over the other? 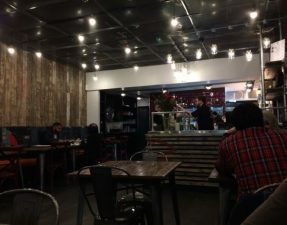 I’m curious because of the chance to eat Angus and Wagyu, but Stax is pretty much my favourite place to eat (except that I find the triple-cooked chips too crunchy. I do like Burgista’s rosemary-seasoned fries but their burgers don’t grab me the same way). Very disappointed. 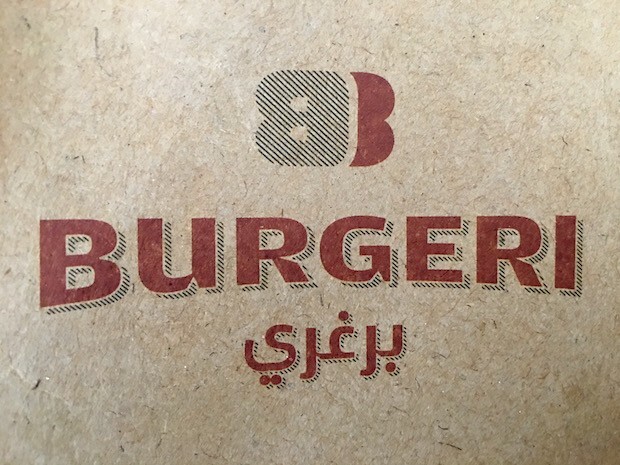 Today I visited Burgeri with some friends, I was excited to see a new halal place off Oxford street but I was very disappointed. I had a double patty Angus special burger and cheesy fries. The burger had a nice juicy taste but it was extremely small, neither me or my friends were full up, we had to order a second burger. That would never happen at another burger place, especially after having a double party. The cheesy fries looked like they were made with cheap McMain microwave fries with a slice of cheap Tesco value American cheese, again it was a small portion,and they charged us £4. All in all a very unpleasant experience we all walked out spending more than £18 each and still hungry. Complete waste of money, never again! Overpriced and underwhelming.